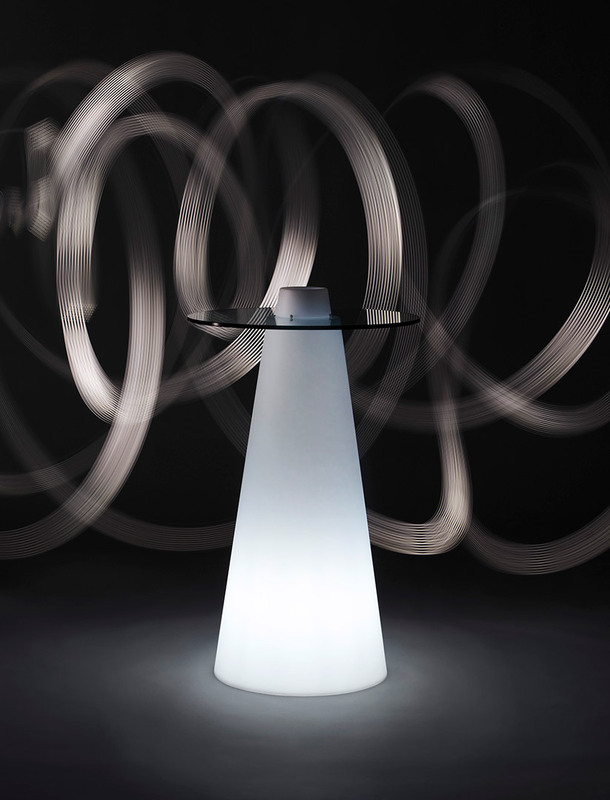 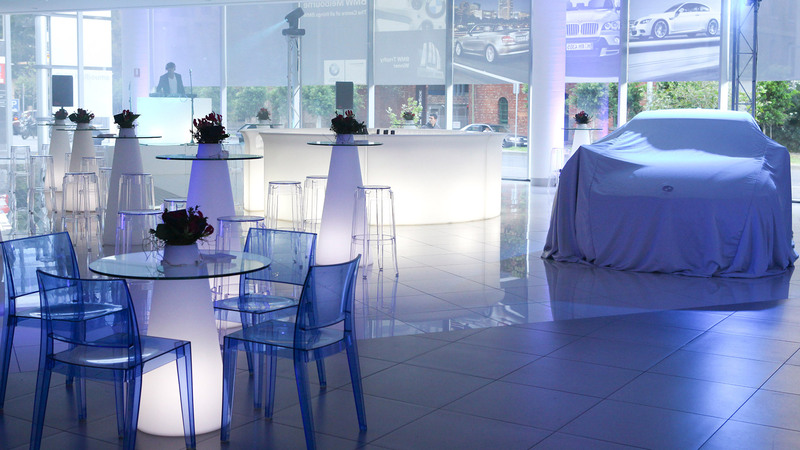 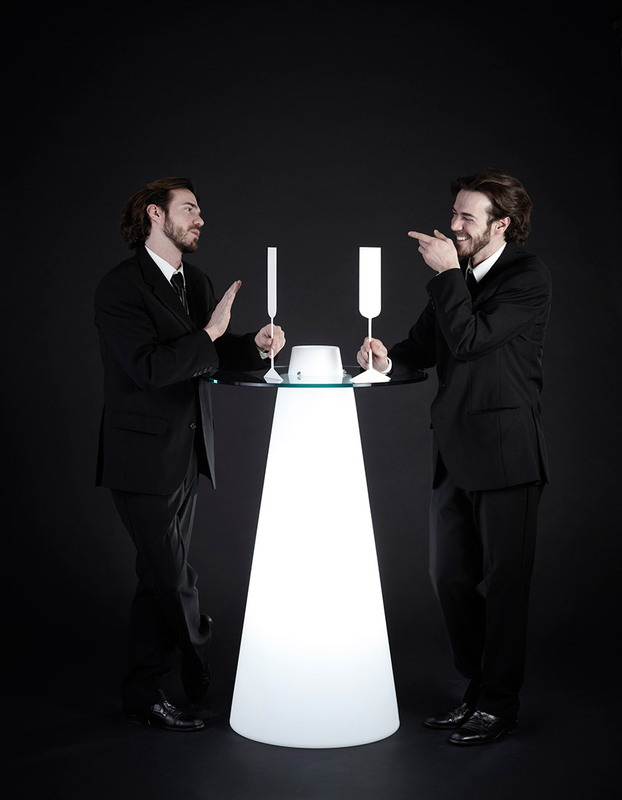 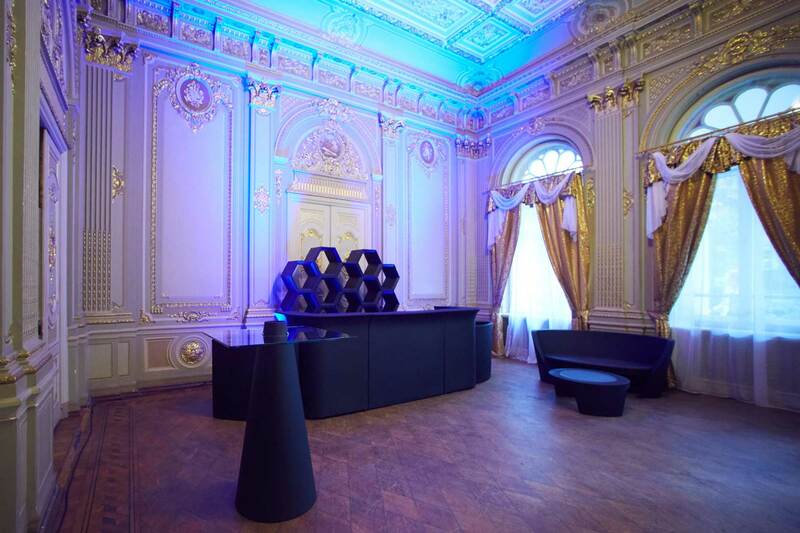 Peak is an eccentric high table, available in standard or in luminous version and designed by Aksu & Suardi Studio. 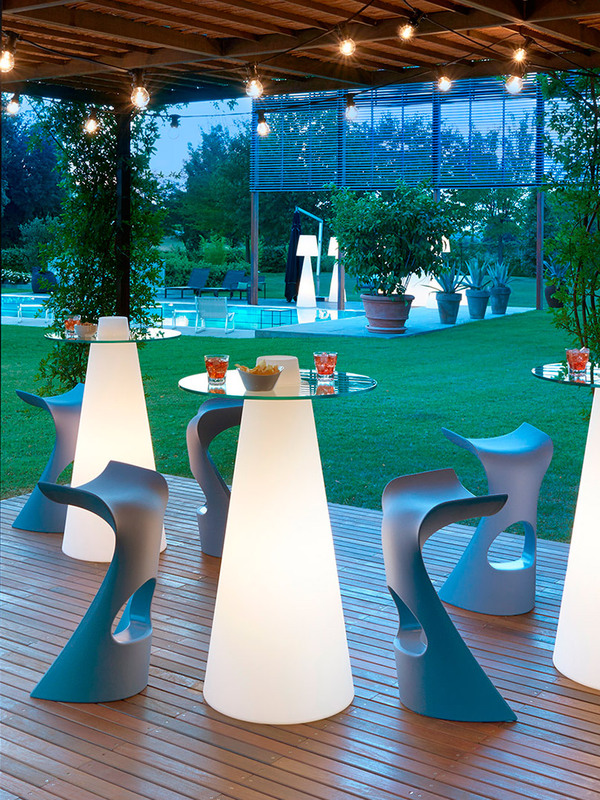 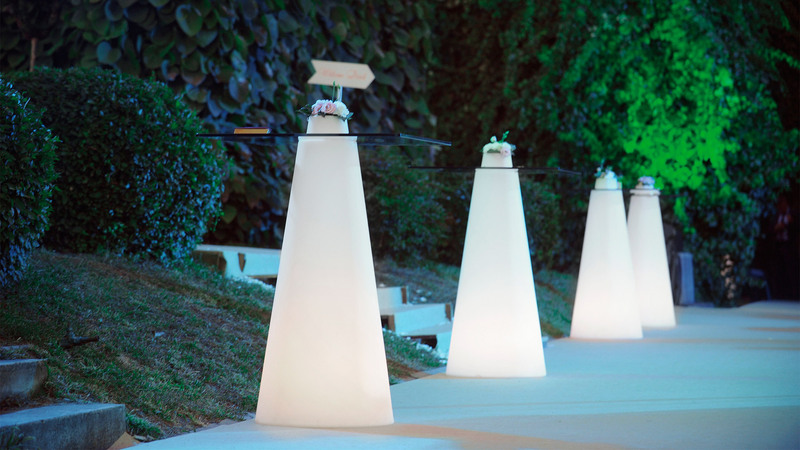 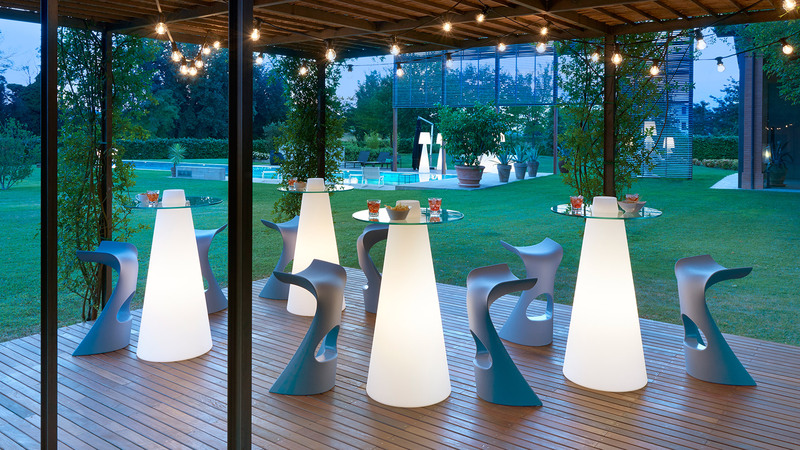 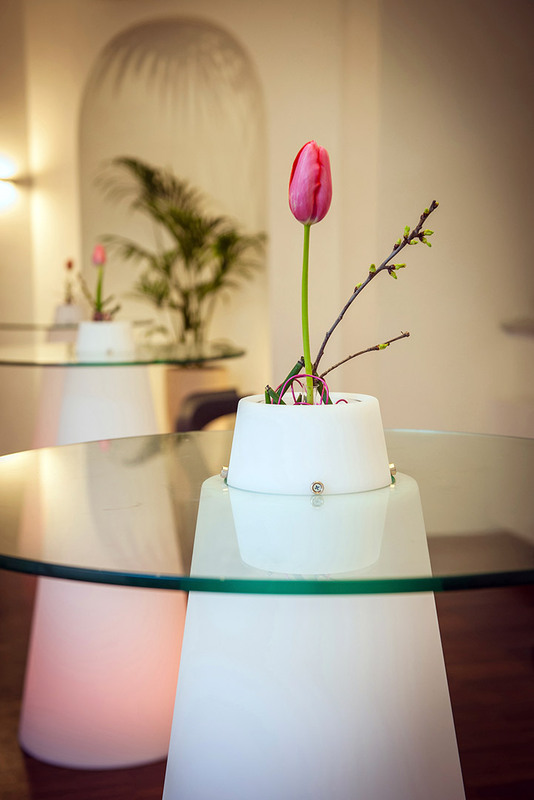 Peak has got an extremely linear design: its base has got a conical shape made in polyethylene, with a round top in tempered glass in different dimensions. 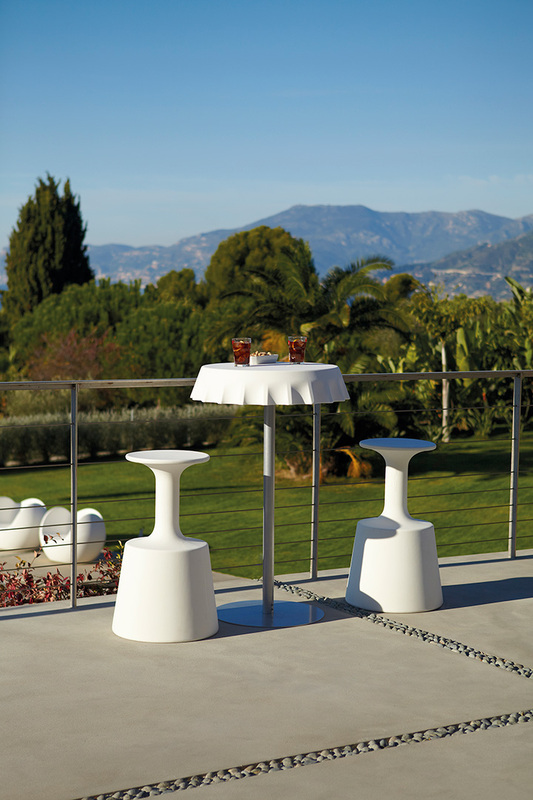 The main feature of Peak is the central bottle rack, ideal to special occasion. 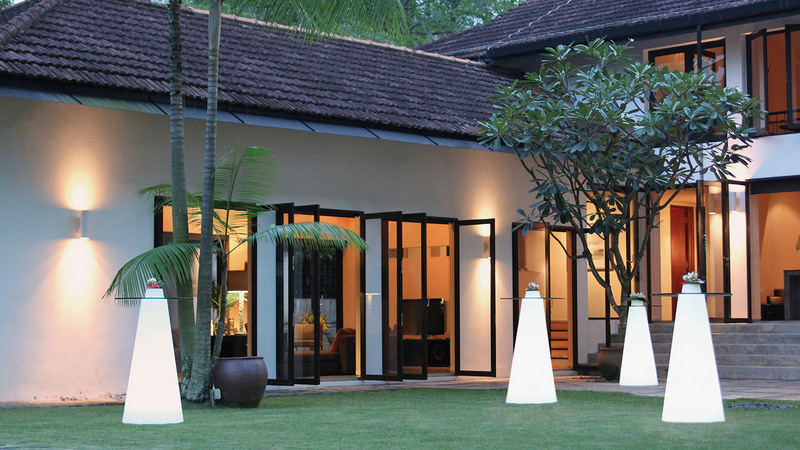 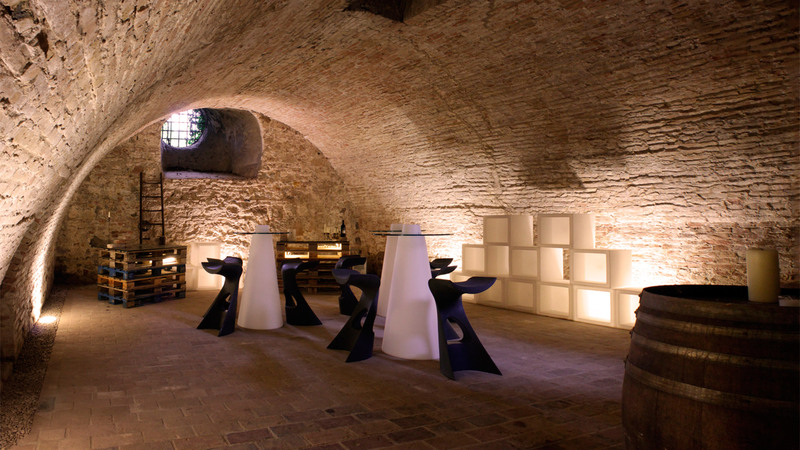 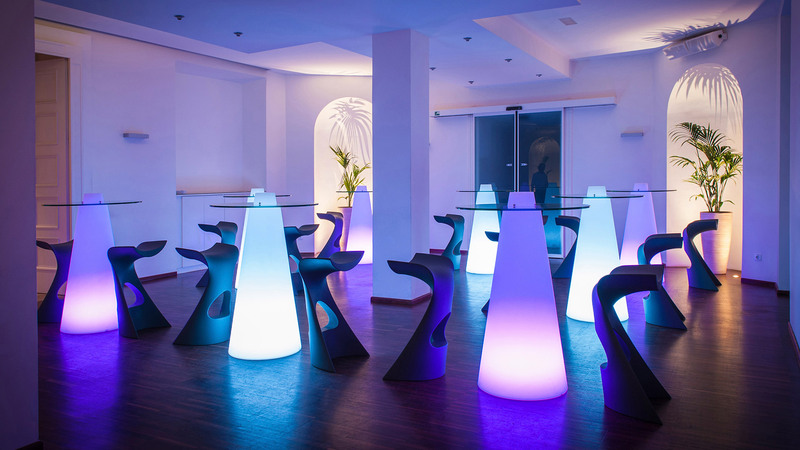 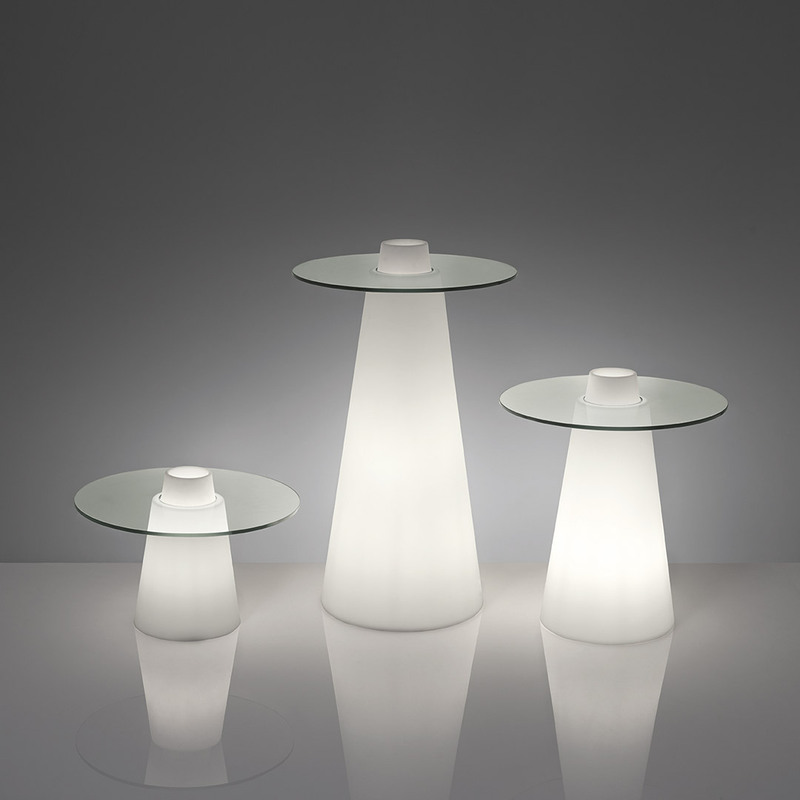 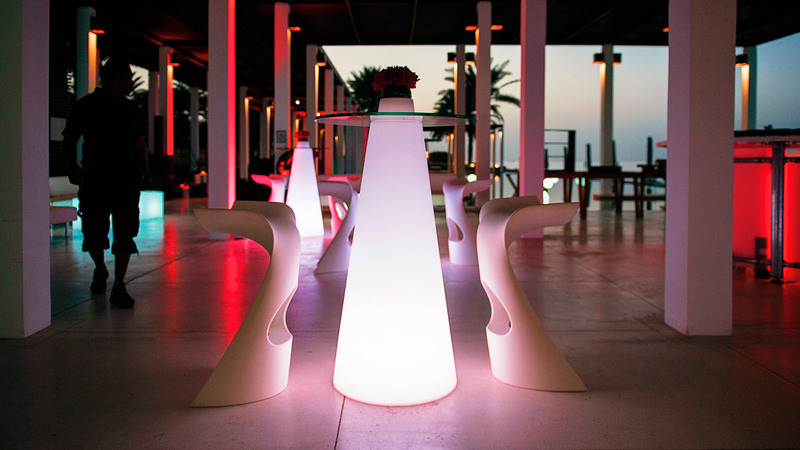 Peak is available for indoor use only, it is ideal to create a dreamy atmosphere thanks to the dim light of its base. 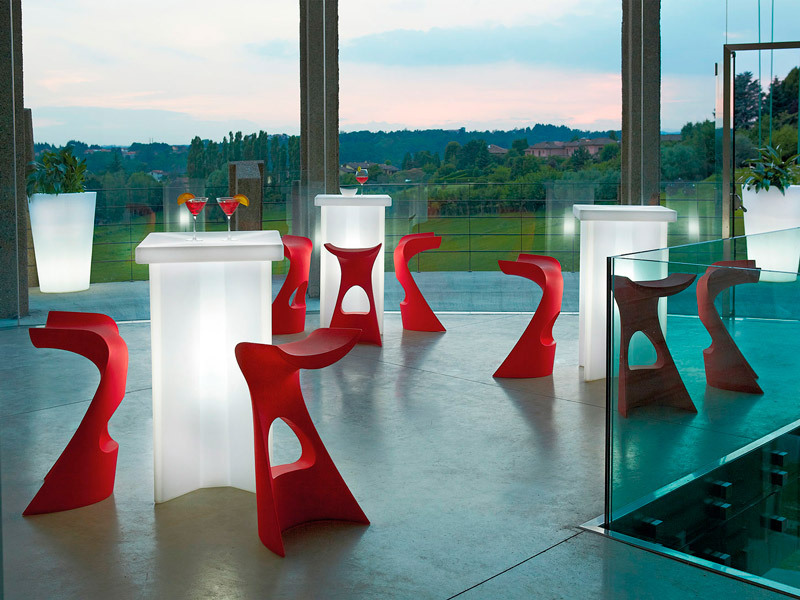 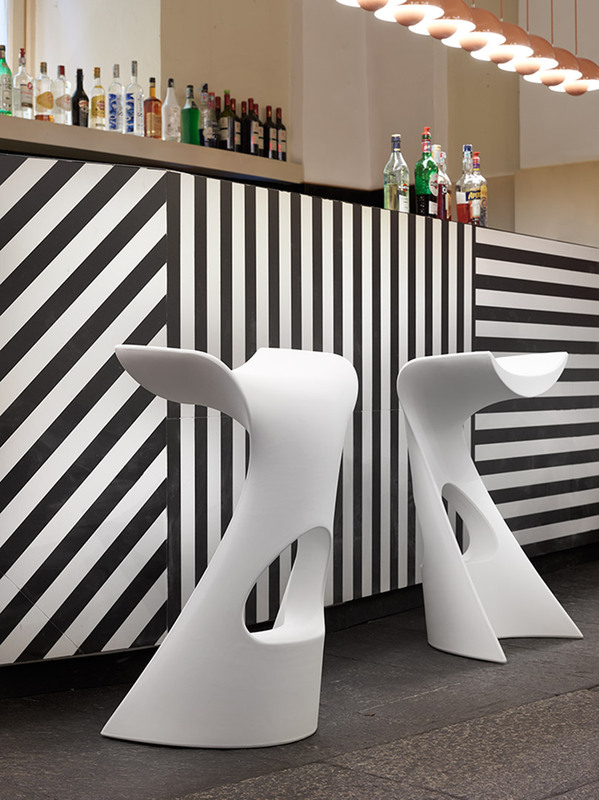 Peak is available in luminous version and in all standard and lacquered colours.